I feel lucky to live so close to San Francisco. Over the weekend we went with friends to the ACT Theater to see the play "Scapin". The evening was warm and when we left the theater at about 10:15 pm, the streets were filled with people. 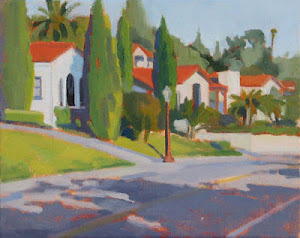 I was inspired to paint a street scene of San Francisco. 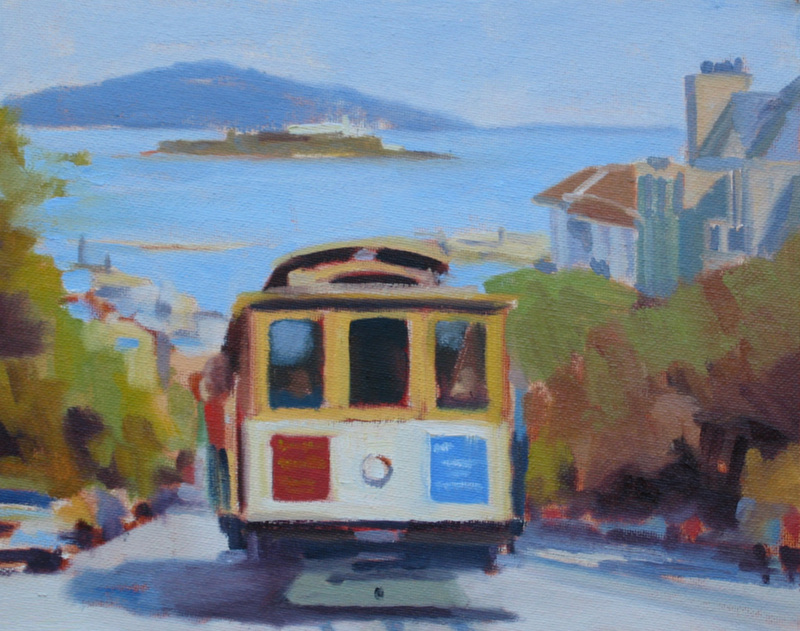 In this view you can see the Hyde Street cable car with Alcatraz and Angel Island in the distance. It was a clear warm day with views across the bay.